This Twisted Wrenches Quilt designed by Cathryn Tallman-Evans of Free Quilting, The Pattern is available for free. 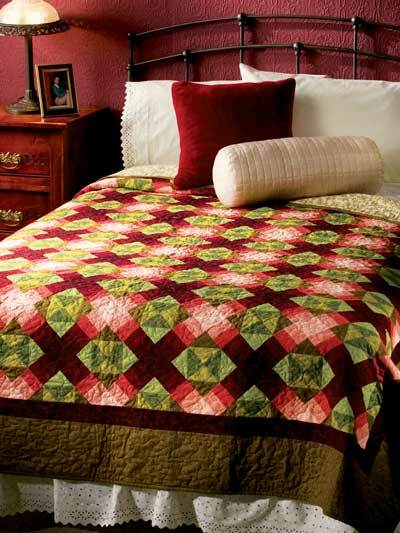 The traditional Monkey Wrench quilt block is simple to piece with squares and triangles. Add some rectangles to replace the side squares and join the blocks o point to make another simple, but twisted version of this block.